Dillon Cobb Wynne, 95, passed away at his home on Wednesday, April 12, 2017. Dillon was a veteran and served in the US Navy during World War II. His service took him to the Solomon Islands, Alice Islands, Gilbert Islands (Tarawa) and the Marshall Islands (Eniwetok). His decorations include the Purple Heart, Presidential Unit Citation, Navy Commendation Medal, Good Conduct Medal, Asiatic Pacific Ribbon (3 Stars) and the American Campaign Medal. Dillon spent a year in various hospitals in Pearl Harbor, San Francisco, and Camp Lejeune recovering from his injuries before leaving the service at the end of the war. Dillon was born at Wynne's (Church) Crossroads November 12, 1921, son of James A. Wynne and Fannie Wynne. His family consisted of eight sisters and five brothers who have all preceded him in death. Dillon married his beloved wife, Marceline Johnson Wynne, on November 23rd, 1949, who after 59 wonderful years of marriage passed on April 22nd, 2008. He has one daughter Jane Griffin and husband Bud in Williamston, and one son Richard Wynne and wife Debbie, of Hartsville SC and two grandchildren, Ryan Wynne of St. Louis MO, and Marlowe Hereford of Idaho Falls, Idaho. Dillon also had a "special daughter", Sherry Whitley, who held a dear place in his heart for her constant support and care. Dillon was educated at Wynne's Cross Roads Country school, Everetts School, Robersonville High School, and East Carolina Teachers College (ECU). He is a member of Reddick's Grove Baptist Church, where he served as teacher, Sunday School Superintendent, Deacon and Church Recorder. 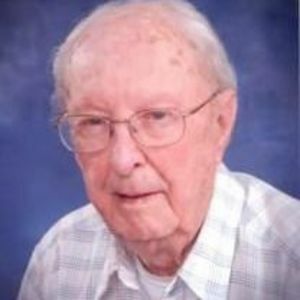 Dillon worked as a telegrapher and teletype operator at Western Union, and retired from the United States Postal Service in Williamston. Dillon was an avid gardener with Marceline and they shared many hours growing plants and sharing vegetables with friends and neighbors over the years. He also was a passionate outdoorsman spending many days with friends and Richard on the Roanoke River fishing and hunting, and was a dedicated member of Conoho and Conine Gun Clubs. The funeral will be held Saturday, April 15, 2017 at 11:00 AM at Biggs Funeral Home with Rev Casey Short officiating; burial will follow at Martin Memorial Gardens. Family received friends Friday from 6:30-8:30 PM at Biggs Funeral Home and other times at the residence.